No matter how big machines, ships or airplanes man may build, they are simple helpless against the winds of Nature - leaving man entirely at the mercy of Nature. 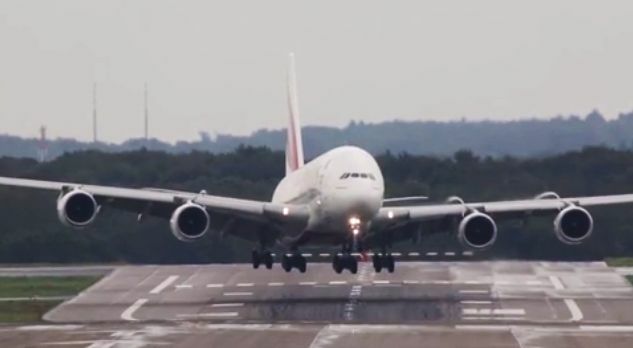 An Emirtes Airlines mighty Airbus A380 has been filmed while landing at the Dusseldorf International Airport, Germany in very strong cross winds. And the huge bird is seen drifting to the right of the runway, finding it extremely difficult to land. I t was the superior piloting skills of the pilots that finally brought the plane back to landing line.